Lumpy Space Princess scenes are my favorite moments in Adventure Time, and for good reason. She has no filter. She speaks her mind, regardless of who’s listening and whose feelings she hurts. However, Lumpy Space Princess doesn’t have it easy. She’s had to forgo a lot of creature comforts after leaving Lumpy Space behind. And she has to deal with Finn’s rejection over and over. Through it all, LSP keeps her attitude sassy, even if her perception of reality is a little, well, lumpy. Let’s take a look at some of the best Lumpy Space Princess scenes from Adventure Time. Disclaimer: This blog post contains affiliate links. Media Medusa makes a small commission when you buy through this link. The all-time best of the Lumpy Space Princess scenes in Adventure Time is when she lets it fly in “Princess Day.” She kicks off her shenanigans by banging on the conference room table, saying she’s “bored out of [her] face” before demanding the princesses stop “talking about dumb stuff that’s lame.” When Breakfast Princess calls her out, Lumpy Space Princess taunts her, then scarfs down some food on her way out the door. Lumpy Space Princess lives like a hobo in the woods on Adventure Time. The first time we see where she lives is in “To Cut a Woman’s Hair,” when Tree Witch tells Finn and Jake to find her some princess hair to cure her baldness. When Finn and Jake catch up with Lumpy Space Princess in “The Monster,” she tells them a fascinating story about how she was living with wolves. She says the wolves took her in and raised her as their own. But when the drama started, Lumpy Space Princess was not cool. Favorite outburst: One day, she explodes in the wolf cave, yelling, “Tony! Jessica is cheating on you!” (In reality, the wolves don’t ever say anything, and the “cheating” was simply one wolf grooming another.) Her outburst angers the wolves and they chase Lumpy Space Princess away. When Lumpy Space Princess runs away, and Jake and Finn are tasked to find her. On their journey, they come across a village being terrorized by a monster who is eating all of their crops. Finn and Jake realize the monster is actually Lumpy Space Princess. We learn a lot about Lumpy Space Princess in “Trouble in Lumpy Space,” including the fact that only lumpy people can travel through space without falling into an abyss. We also learn that Lumpy Space Princess used to date someone named Brad, and they used to share chili cheese fries in the back seat of a car at Makeout Point. 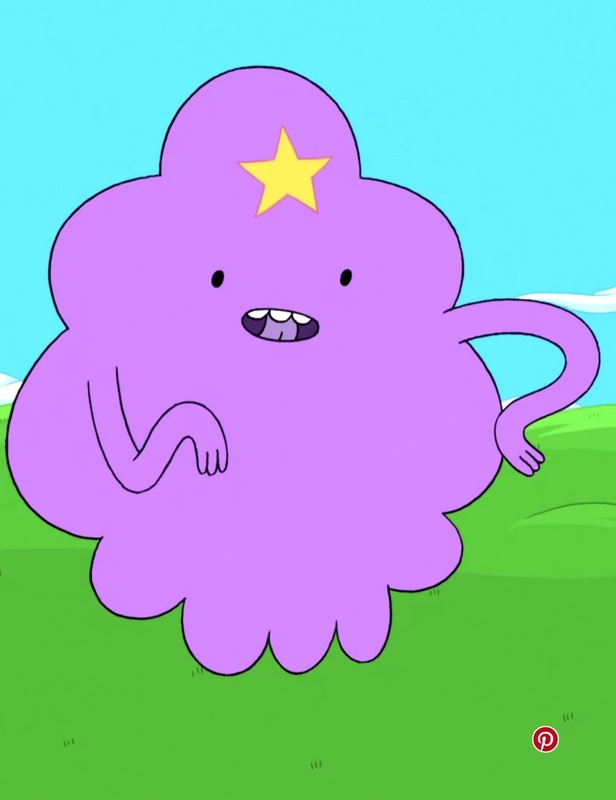 Favorite insult: Lumpy Space Princess gets in a jab at Finn and Jake when they first arrive in Lumpy Space. She takes them to her house (really, her parents’ house) and explains that her house is “kinda lame, but way less lame” than their house. In “Bad Timing,” Lumpy Space Princess targets Princess Bubblegum, but winds up insulting nearly everyone at some point. Later, Lumpy Space Princess runs into an old high school friend, referring to him as Ugly Johnnie. Although, after seeing him at the bar, she says she can’t call him that anymore. Of all the Lumpy Space Princess scenes, which one is your favorite? Let us know in the comments! Thanks for reading! Which Lumpy Space Princess scene is your favorite? Tell me in the comments!